I was helping out a fellow Windows Phone developer with some app testing today and noticed that his app had a Panorama control with a background color that had a break between the last page and the first page. 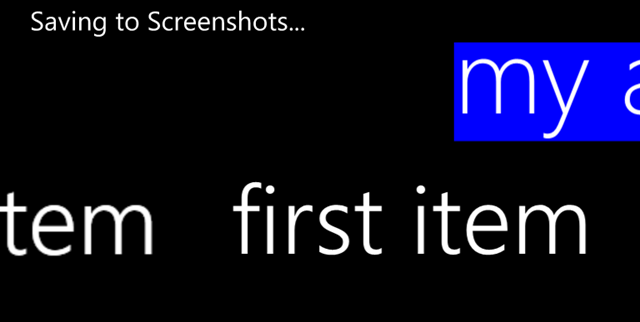 Here’s an example using the “Windows Phone Panorama App” project template. This looks very weird and is distracting from the real content. This problem is very similar to the Changing the background color of your pivot headers post I did. You cannot just change the background within the TitleTemplate. The above images were created by modifying the TitleTemplate of the Panorama. Note: The FontSize, Width and Margin were modified to make the title smaller. 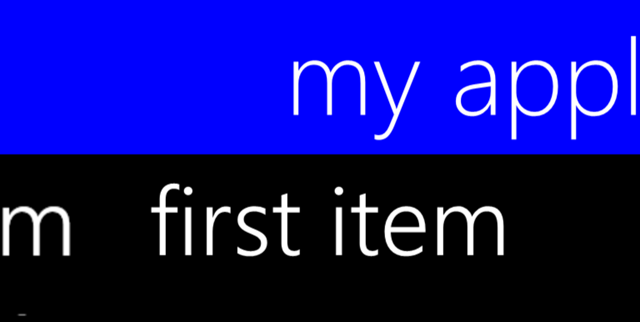 Once again it’s Blend (or now VS2012!) to the rescue. Right click the Panorama and select Edit Template –> Edit a Copy… Much like the Pivot Header, the Panorama has a control for rendering the Title. You could try setting the Background property of the PanningTitleLayer but will quickly find that it does nothing. You could modify the style of the PanningTitleLayer itself, but I find it is much easier to just add a Border immediately before the PanningTitleLayer. 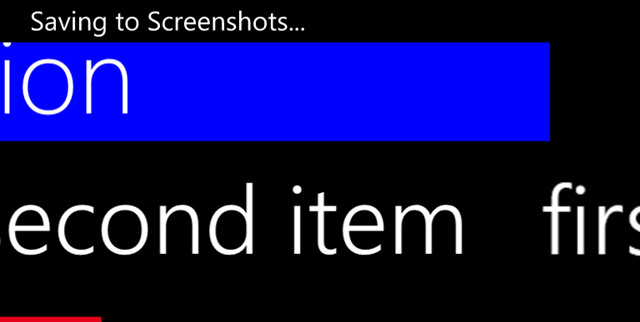 Another option is to wrap the PanningTitleLayer with a Border control. With this new Border the background is consistent across all items of the Panorama. // is an example identifier for a product that causes the display of ads to be removed from the app. What if you have multiple pages with ads? How do you give the option (button or menu item) to remove ads across many pages? How do you remove/hide the ad for a new page if the purchase has been made? When using IAP to remove ads you should give the user the ability to remove the ads on every page that has ads. Note: Another option is to have a central location like settings to remove ads. I don’t like this option because often users don’t go to the settings. The option you give users could be either a button on the ApplicationBar or a MenuItem. While a menu item is not as visible as a button you can be guaranteed that you will have room in the menu to put an option. The menu item should be visible if the IAP has not been made and be hidden if the purchase has been made. Often times you show/hide items with a BooleanToVisibilityValueConverter. Menu items do not have this ability so you’ll want to do this in code. A good place to do this is within the Loaded event of the PhoneApplicationPage. To make this code reusable it will be placed in a class called AdPhoneApplicationPage which inherits from PhoneApplicationPage. This allows you to make any page in your app an AdPhoneApplicationPage rather than a PhoneApplicationPage. // ApplicationBar is null and ads have been removed. Nothing to do! The Loaded event will either add or remove the menu item to the ApplicationBar. If the page does not have an ApplicationBar one will be created to place the menu item in. If the purchase has been made the menu item will be removed. The AdsRemoved property is very similar to the one in the sample except that it caches the value of the purchase. 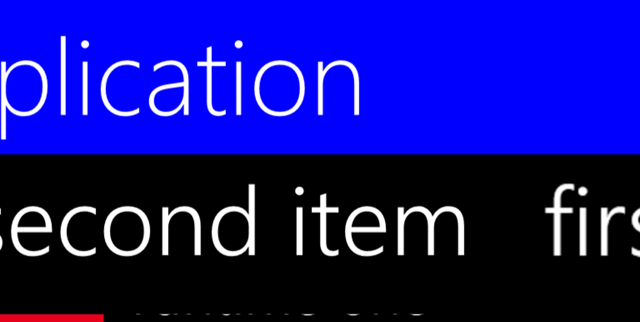 When the menu item is clicked, we’ll want to perform the IAP and if the user did complete the purchase, remove the menu item. Notice I had a TODO in there to remove the ad; after all, this is what we are intending to do. One option is to create a custom control that wraps the AdControl and hides it on load if the purchase has been made (I’ll blog about this awesomeness later). Another option is to traverse the child controls of the page to find the AdControl and hide it. This simple method uses recursion to find the AdControl and hide it. Replace the TODO statements will one line of code. You can download the entire AdPhoneApplicationPage here. Make sure that your code behind then inherits from AdPhoneApplicationPage instead of PhoneApplicationPage. I’ve been trying to get going with developing Windows 8.1 Store apps on my new Surface Pro but was continually running into the following error. It turns out this error is due to how I configure my PCs. Every time I build a new computer or install a version of Windows I create an “admin” account. This account is only used for admin related stuff. My normal account is not an admin account. I have been doing this configuration since XP due to the lack of security that XP originally offered. I tried running Visual Studio 2013 as admin, I tried running powershell and the command “Show-WindowsDeveloperLicenseRegistration” but all failed. It wasn’t until a helpful Hermit Dave tried to diagnose this issue with me over twitter that I was able to solve it. The solution is to log in as your admin account and either run the powershell command or VS2013 to get the developer account prompt, enter you Microsoft account information and then log back into your regular account. Again, big thanks to Hermit Dave for the help on this issue.